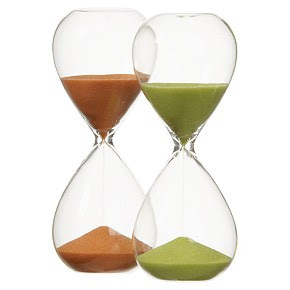 Hourglasses with colored sand...click here to view. Caveat: these only measure 15 minutes...not an hour! 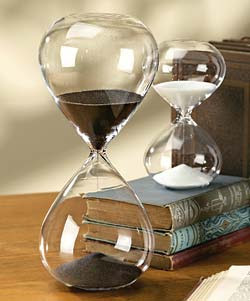 Or a classic glass hourglass with white sand...click here to view. ...and then to mix things up a bit I've added a black hour glass. These are a bit more difficult to find but it isn't impossible.